OK, call this the “pre-festival lead sheet” as it is the only one I will be posting before Twin Cities Jazz Festival weekend. I’m heading west for 12 days of driving, hiking, camping, driving, hiking….no laptop, no email. Plenty of jazz but all on CD. So for the most part, this is a preview of what I will miss. Go and tell me all about it later! The local jazz calendar, as complete as any, can now be found on the KBEM website (maintained by Pamela Espeland). Dubbed “Minnesota’s First Lady of Song” for good reason, Debbie Duncan highlights the weekend (6/3-4) at the Artists Quarter, guaranteeing some ballads, blues, and plenty of sass. She can be so entertaining that you forget she’s one of the best jazz singers around –until she launches into song. The Dakota is booked for a private event this weekend, during prime time, but plan on a late night gig Saturday (6/4) with the very special pairing of guitarists Todd Clouser and Dean Magraw, backed by Chris Bates on bass and JT Bates on drums. Clouser has been growing his audience with his Love Electric recording and tour, and offers an artistically exciting counterpoint to the folky-bluesy-fusiony postbop of Dean Magraw. And Todd will be celebrating another project at the Aster Café on Monday (6/6) with the release of Mighty Bird, the recording debut of Hope Tonic, a trio with Clouser, Bates and Bates. “Toy pianos, big pianos, a National Resonator guitar, melodica, and Clouser's signature guitar work combine to make Mighty Bird a record steeped in emotion,” says his press release. With most of her North American rhythm section based in the Twin Cities, we can count on frequent visits from Britain’s top jazz singer, American-born Stacey Kent, coming to the Dakota for two nights (6/5-6). Falling in love with future husband and jazz while studying literature in England, Kent gave up the academic life for music, and her series of acclaimed recordings (Grammy-nominated Breakfast on the Morning Tram in 2007 and her 2010 Raconte-Moi ) and popularity in Europe, and now the U.S., support that choice. She recently received the National Order of Arts and Letters from French Culture Minister Christine Albanel, who cited Kent “as a painter of sentiment, spellbinding, mixing sophistication and sentiment, a luminous and unique talent.” In addition to husband/tenor saxophonist Jim Tomlinson and pianist Art Hirahara, Stacey will be backed by Twin Citians Gordy Johnson and Phil Hey, her North American timekeepers. Dean Magraw figures in another cool pairing this week, Monday night (6/6) at the Loring Pasta Bar with vocalist Lucia Newell, part of the Musique Mystique series. Between them, Dean and Lucia cover much of the world, and together, their art reaches global proportions. 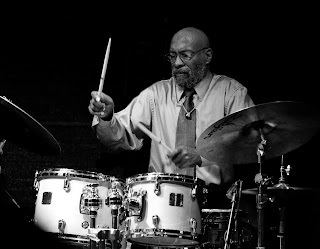 And not done with Dean yet… Starting Tuesday (6/7), it’s Fat Tuesday at the Black Dog Café with a new series of music curated by Dean and percussionist Davu Seru “from James Brown to Charles Mingus.” Every first Tuesday, 8-10 pm. One of my favorite brass ensembles, Snowblind resurfaces at the Artists Quarter on Wednesday (6/8). Put Adam Rossmiller, Scott Agster, Shilad Sen, Graydon Peterson and Reid Kennedy together and you have a real blizzard of original compositions and arrangements. And if that is not enough energy, you can check out the Turf Club and Gang Font (Dave King, Erik Fratzke, Bryan Nichols) on Thursday night (6/9). Earlier in the evening, you can help raise funds for ongoing relief efforts in Japan at the Jazz for Japan benefit at Camp Bar in St. Paul. Organized by local vocal activist Rhonda Laurie and her students at the Minnesota School of Business, this is a great effort to recognize Japan’s contributions and long-standing support of jazz and help those impacted by the earthquake and tsunami earlier this year. Musicians peforming at the benefit include Rhonda, Reynold Philipsek, Arne Fogel, Debbie Duncan, Maud Hixson, Paula Lammers, Joyce Lyons, Aaron Keith Stewart, Robert Bell, Rick Carlson, Doug Little, Joel Shapira, Jazz Zen, Illicit Sextet, Pooch’s Playhouse and more. A combination I am sorry to miss, at a new venue I would like to check out—vocalist Lee Engele with guitarist Joan Griffith at Mendoberri, the former Sage Wine Bar space in Mendota Heights, Friday night (6/10). Lee can swing any song she encounters, and Joan can handle anything from bebop to swing to samba and beyond. 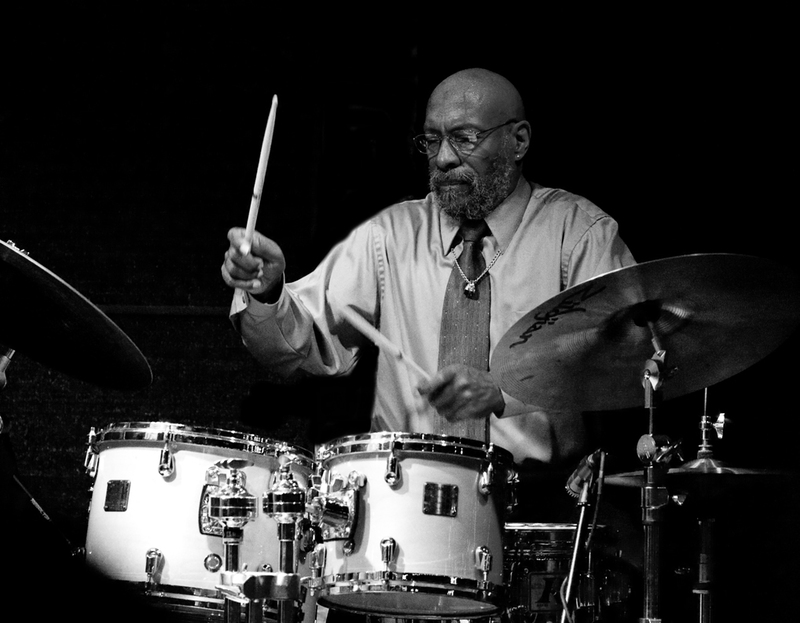 Long-time drummer for McCoy Tyner, Eric Kamau Gravatt brings his Source Code back for a weekend at the Artists Quarter (6/10-11). And for some swinging south-of-the-border fare, Connie Evingson brings her long-awaited Summer Samba show to Jazz at the Jungle (Theater) on Sunday (6/12). Featuring songs by Oscar- and Grammy-winning lyricist Norman Gimbel, Connie has assembled a stellar Midwest cast, with Danny Embrey and Joan Griffith, guitar; Bob Bowman, bass; Laura Caviani, piano; Dave Karr, sax; and Dave Schmalenberger, drums. Summer seems meant for big bands, and the free Jazz on the Prairie Festival held annually at Staring Lake in Eden Prairie fits the bill (6/12). Line up this year includes Bend in the River Big Band, Acme Jazz Company, Just Friends Big Band, River City Jazz Orchestra, Good News Big Band and the Jazz on the Prairie Big Band. You can also help strike up the band for victims of the Northside Minneapolis tornado at a benefit at the State Theater in downtown Minneapolis (6/12), featuring an eclectic mix of music from the TC Jammers with Patty Peterson, the Peterson Family, Brother Ali, the New Standards, Prudence Johnson, Paris and Jamecia Bennett, Toki Wright, Ginger Commodore, Jeanne Aland Peterson, Thomasina Petrus, and more. Emcees are T. Mychael Rambo, Robyne Robinson, and Angela Davis. The Twin Cities Jazz Festival officially gets underway next week but preview events begin Thursday (6/16) with a series of gigs in St Paul Libraries. Tonight Debbie Duncan fills the Rondo Library. Stay in St Paul for the Phil Aaron Trio at the Artists Quarter. Long the Friday night house band at Hotel Sofitel, Phil with Tom Lewis and Jay Epstein continue to make terrific trio music whenever they find time to get together. More this week: Arne Fogel at Hell’s Kitchen (6/10); Nachito Herrera at the Dakota (6/10-11); Nichola Miller at Hell’s Kitchen (6/11) and with Rick Carlson at Loring Pasta Bar (Musique Mystique, 6/13); Joann Funk solo piano at Nicollet Island Inn (6/11); Charmin Michelle and Denny Malmberg at Fireside Pizza (6/13 & 6/15); Herb Alpert and Lani Hall at the Guthrie (6/13); Cory Wong Quartet followed by the Tuesday Night Band at the Artists Quarter (6/14); Kristin Sponcia Quartet at the Artists Quarter (6/15); Sophia Shorai at the Aster Café (6/15); Christine Rosholt with Beasley’s Big Band at the Wabasha Street Caves (6/16). He has literally no online presence and does not perform at clubs often these days, but pianist Tommy O’Donnell is among the best in town and has played with all the best in town. Speaking of which, his trio mates for this gig at the Artists Quarter (6/17-18) features Gordy Johnson and Phil Hey. Try to beat that. Make room for two gigs on Saturday (6/18) because Bruce Henry is back for one night at the Dakota! Although we lamented the velvety baritone’s departure two years ago, Bruce has managed to find his way back to his old haunts every couple months. And it’s always a fresh show. 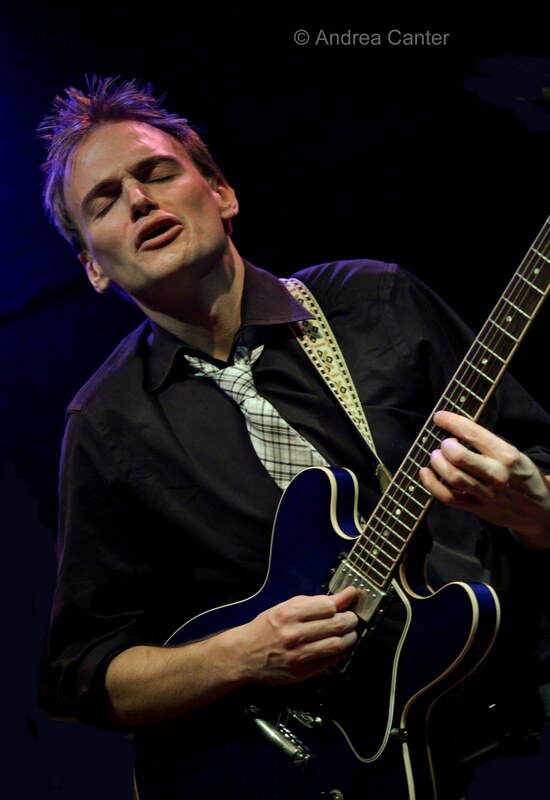 Continuing the jazz festival previews in St Paul libraries, on Sunday (6/19) celebrate Fathers’ Day at the Central Library with Dave Karr, Irv Williams, Tanner Taylor, Graydon Peterson and Kenny Horst, a quintet that will knock your socks off with its bop and swing. The final installment, with Rhonda Laurie and Sidewalk Café, swings on Wednesday (6/22) at the Hayden Heights Library. Also a good ticket for dads, the Dakota welcomes back the king of New Orleans piano, Allen Toussaint (6/19). A headliner at the TC Jazz Festival two years ago, Toussaint is a master of grooving, foot-stomping delta dazzle. 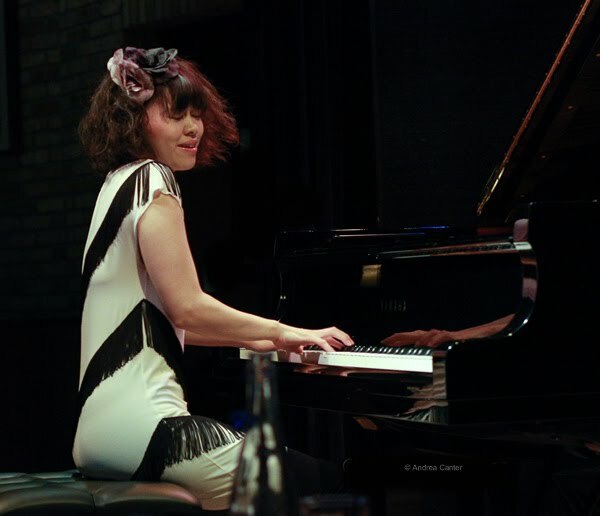 Speaking of dazzle, Hiromi returns with a new Trio Project, two nights at the Dakota (6/20-21). Her new trio CD, Voice, might be her best ensemble effort yet, and here she brings in bassist Anthony Jackson and special guest, drummer Steve Smith (Journey, Vital Information). It’s been a couple years since we heard Hiromi leading a band (she’s been here with Stanley Clarke and in solo), and this trio seems to take the best of all of her worlds—stunning ballads and hard-driving grooves from her original compositions and surprise covers like Beethoven’s “Pathetique” Sonata. Last week I mentioned the Phil Aaron Trio’s residency at Hotel Sofitel. Is music returning on a regular basis? Maybe not, but at least on Tuesday (6/21), jazz returns to the bar at Chez Collette with the sublime duo of Maud Hixson and Rick Carlson. Maybe this is the start of something good? And the biggest festival prelude of all, the annual Jazz Night Out is back Thursday (6/23) with jazz throughout St Paul’s Lowertown and beyond: At Mears Park, vocalist Alicia Renee pairs up with pianist extraordinaire Jon Weber, followed by Connie Evingson; elsewhere hear Red Toes (Gregg Marquardt, Connie Dusseau and Jackie Moen), followed by Freddie and the Boys at the Hatrick; creative guitarist John Penny at Senor Wong; the Joann Funk Trio at the Lobby Bar of the St Paul Hotel; Joseph Baird followed by the Zacc Harris Quartet at the Black Dog; Arne Fogel and Maud Hixson with the Wolverines Trio at Mancini’s; Anti-Gravity (Dean Granros--guitar, Jacqueline Ultan--cello, Steve Goldstein---laptop, Scott Fultz--saxes, Pat O’Keefe--clarinet) at Studio Z; Eric Christianson at the Bulldog; and the crowd-pleasing annual Stride Piano Night at the Artists Quarter with 2 pianos and three magicians—Butch Thompson, Jon Weber and Paul Asaro. 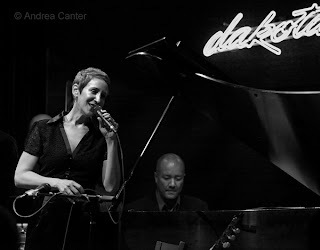 More jazz this week: Patty Peterson and Friends at the Dakota (6/17); Erin Schwab at Hell’s Kitchen (6/17); Community Pool/Deep End series at the Black Dog (6/17); Vinnie Rose, Graydon Peterson and Jay Epstein at the Shanghai Bistro in Hudson (6/18); Firebell (Park Evans, Graydon Peterson and Jay Epstein) at the Red Stage (6/20); Charmin Michelle and Rick Carlson at Loring Pasta Bar (Musique Mystique, 6/20); Jelloslave at Barbette (6/20); Cory Wong Quartet followed by the Tuesday Night Band at the Artists Quarter (6/21); Dean Granros Trio at the Artists Quarter; Zacc Harris, Bryan Nichols, Pete Hennig at Café Maude (6/22); Trombone Shorty at the Minnesota Zoo (6/22); Charmin Michelle and Denny Malmberg at Fireside Pizza (6/22); Joel Shapira at Hell’s Kitchen (6/23).